Are you looking for the Lexmark XM7155 multifunction to help your business soar to new heights? Excellent, then you are in the perfect place! Arizona Copiers is the fastest growing copier company in Arizona. 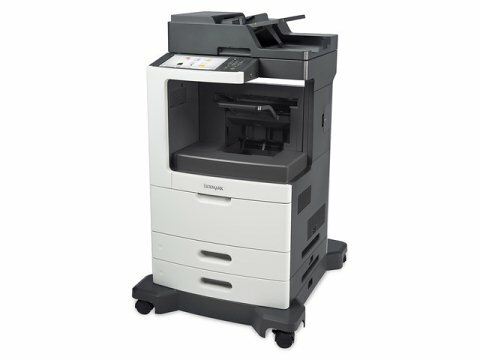 We offer purchasing options to buy, lease, or rent all the major copier brands in our vast inventory, including all of the top Lexmark models. Our teams go above and beyond to provide exceptional customer service and help your business achieve the perfect solution to fit your needs and budget. Our trained and experienced professionals are dedicated to helping all of our clients realize their business potential and achieve all of their goals through office automation. Please call our company today 602-428-5885 with all inquiries and requests. When you call us, you can rest assured that you will be speaking with a friendly and knowledgeable representative that is excited to help you in any way possible! The Lexmark XM7155 multifunctional printer packs more advantages than any other printing system in the industry today. This high-performance and dependable multifunction laser printer can power up your work environment for drastic improvements in productivity. Benefit from the incredibly fast printing and copying output rate of 55 pages per minute. Not only will you reduce wasted time spent waiting, you will not have to refill paper as often with the large capacity 3,200-sheet paper cassette trays. This robust Lexmark model is equipped with 1 GB of memory and a 160 GB hard disk that provides impressive functions for printing, copying, scanning, emailing, and faxing documents in one convenient compact unit. The Lexmark XM7155 enables your business is unite all of your critical business document functions into one high-performance device to optimize your workflow. Furthermore, this Lexmark model features an unbelievably large color touch screen control panel to provide the easiest access to all of the document functions. The efficient display can be tailored to fit all of your business’ needs with customizable icons and shortcuts to all functions your employees use most. Lexmark offers your business more options and versatility in this one machine, while also reducing power and energy consumption. If your business is struggling between using multiple printing or copying devices in your office, it is time to give Arizona Copier a call. Buy, Lease, or Rent a Lexmark XM7155 Multifunction Printer Today! At Arizona Copier, you are guaranteed to find the best copiers at the most competitive prices on the market. Combine some of the best discounts available with unparalleled customer service and convenient shipping options to all of our service area throughout the Valley of the Sun to benefit from a wholly positive purchase experience. We strive to assist all of our clients in finding the very best solution, while keeping the cost low and their production goals at the forefront. Call us today at 602-428-5885 to get started on buying, renting, or leasing your own Lexmark XM7155 immediately. We look forward to helping you realize these tremendous features and reach all of your business goals!